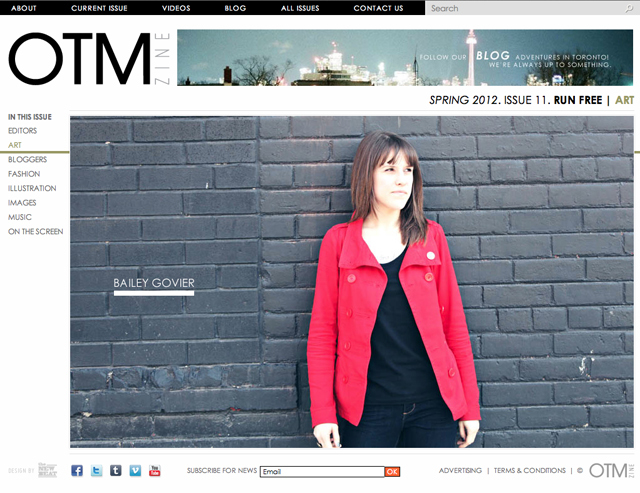 Bailey Govier interviewed in OTMzine Spring 2012, Issue 11. Little Paper Planes online exhibition. © Bailey Govier. Powered by Blogger.